Hey, folks! Today we're going to be talking about two of my favorite things...ALIQUID Lacquer, and charity! I have to admit, I am not a fan of dogs. However, I do care about their welfare and find it appalling that there are so many homeless dogs in this country. 3.9 million dogs enter shelters each year, with 1.2 million of them being euthanized (most of the euthanized dogs are pit bulls). The dog featured on ALIQUID Lacquer's labels is Trudy, the maker's beloved 5-year-old rescued pit bull mix. Since October is Adopt A Shelter Dog month and her own shelter dog means so much to her, the owner of ALIQUID Lacquer would like you to join her in supporting this important cause! How can you help? Donate! If you want to help AND get polish, pick up a bottle of ALIQUID Lacquer Puppy Love! $5 from the sale of each $11 (15mL) bottle goes to the ASPCA. ALIQUID Lacquer is hoping to raise at least $250, so help her out and buy a bottle HERE! How else can you help? Be responsible. Spay and neuter your pets! Do your research before getting a dog (or any pet, really). Don't get a dog if your life is unstable, or if you are facing financial difficulties. Choose adoption over purchasing. Never, ever buy a "designer" mixed breed, since these are all irresponsibly bred. If you absolutely must have a purebred dog, look for breed-specific rescues first. And if you feel you absolutely must purchase a dog, please find a "responsible" breeder***. Buying a dog should never be cheap and easy. The breeder should be someone who shows their dogs and seeks to advance a breed, producing only a few puppies from carefully matched parents. They do not breed for profit and they will not sell a dog to just anybody. They take responsibility for every life they create, mandating that if you cannot keep your dog, you return it to them, not a shelter. The vast majority of breeders you will find are irresponsible "backyard breeders" who breed dogs for profit. They are nothing more than luxurious, small-scale puppy mills at their core. ***One could argue that all breeding is irresponsible, and that the breeding of certain breeds which are particularly prone to difficult births and health problems is an abomination. To a degree, I do agree with this line of thought. Now that I've finished ranting about an issue that bugs the heck out of me, let's check out the polish! ALIQUID Lacquer Puppy Love is a bright teal filled with gold and pink flecks and some holographic shimmer. It's opaque in about two coats, though I did three just to be safe from the unforgiving eye of my camera. The formula was lovely and dry time was average. It's a classy, happy color! 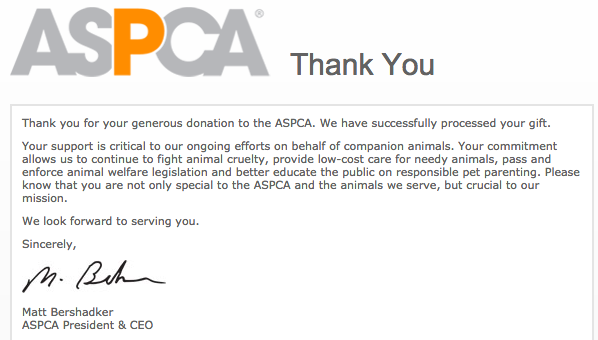 Since I received this polish for free (and therefore, no money went to the ASPCA), I decided to make a donation on my own to make up for it! Gorgeous color for such a great cause. You captured the sparkle really well! With the new Battle Cat names system recently added to World of Warcraft you have an additional opportunity to make gold in the game. By learning the system, and understanding how you can load up on the most desirable pets you can start earning money.